It's quite ironic that a couple of months after the release of Push The Sky Away, the first Bad Seeds album without mastermind Mick Harvey, the first glimpse you get of Mick's return as a solo songwriter is the starlit sky featured on the cover. But let's not get carried away. As Mick has explained after the release of his latest Sketches from the Book of the Dead, his decision to suspend the 36 years professional relationship with Nick Cave was as much pondered as liberating. Artistic disagreements aside, he freed himself from the invisible 'business stuff' he undertook in the band for so long, and got the chance to focus on his family and other projects, including the making of PJ Harvey's Let England Shake and the accompanying worldwide tour. Today, with a new album, the upcoming reissue of his first two recordings of Serge Gainsbourg's songs Intoxicated Man and Pink Elephants, a tour and his forthcoming role in Pop Crimes, a group of musicians paying tribute to the music of Rowland S. Howard, Mick Harvey certainly has a lot on his plate. If Push The Sky Away, in Cave's words, registers a void, the 'absence' of Mick's guitar then Four (Acts of Love) displays a whole range of Mick's incarnations and talents as a composer and occasional songwriter. It makes sense that after the pensive mood of Sketches, a meditation on memory and death, Four reflects on the role of love in affecting and defining our lives. A neatly structured song cycle, Four is built around three acts named after one of the covers featured in each part. 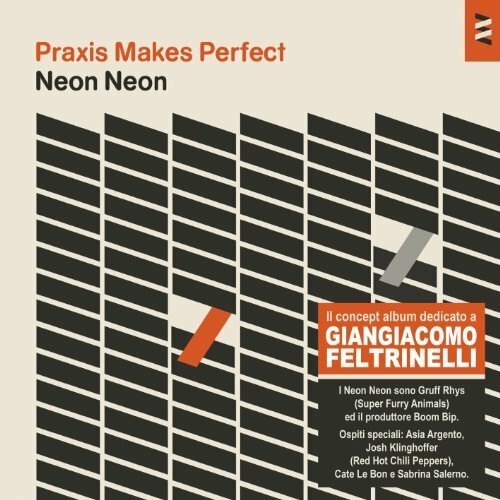 Most of the material preempted Sketches, only to be assembled after the composition of 'link songs': short atmospheric interludes that give the listener the constant feeling of being on the verge of a mood switch. Take Midnight on the Ramparts, where Mick's echoing whistle, accompanied by a gentle guitar and a tenuous double bass line, almost turns into a cry of longing; or there's the Callahanian whispered poetry of A Drop, An Ocean. These little pieces tie the concept of the album together, bridging the multifaceted aspects of its subject: loss, romance, disillusion and the final hope that throws everything back in the circle. But there's a lot of substance as well. The album opens and terminates a reinterpretation and reassembly of nineteenth century church hymn 'Praise', originally written by English clergyman Reginald Heber. The piano riff and lifting guitars create an atmosphere of serene exaltation, that later on gets splintered by Mick's skeptical curiosity: “Oh, the Almighty/If even your meaner works are fair/Then tell me/Our dreams/where are they gone?”. 'Glorious' is an emotive piece of crystal clear rock, obsessively embraced by Rosie Westbrook's circling double bass. It is a PJ Harvey obscurity unearthed by Mick on some tapes in his possession. It's not the first time: in Two of Diamonds (2007) Mick reinterpreted Polly's unreleased 'Slow-Motion-Movie-Star'. 'Glorious' narrates the story of a consuming love that perhaps brings back to mind the seclusive characters of To Bring You My Love. The rest of the record is dominated by other experiments in reinterpretation, as diverse as they can possibly be. Mick's long time engagement with eerie soundtracks shows through his stripped down, droney version of Van Morrison's 'The Way Young Lovers Do'. His accelerated take on Exuma's 'Summertime in New York', despite the substitution of sparseness with chaos, does not mitigate the starkness of the original. And, yes, the background distortions of its second part vaguely evoke Birthday Party's classic stuff, but there's also a blasting 'The Story of Love', by youth favorites The Saints and a touching acoustic rendition of Roy Orbison's 'Wild Hearts Run Out of Time'. 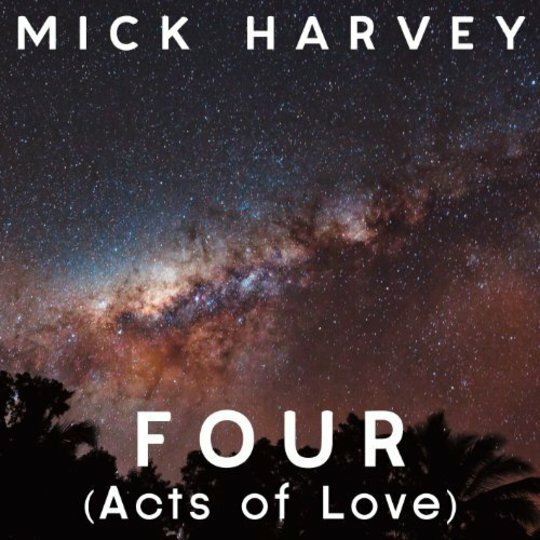 Four's own structure helps this insisted variety stick together, resulting in another piece of theatrical songwriting that confirms Harvey's genius as an arranger.